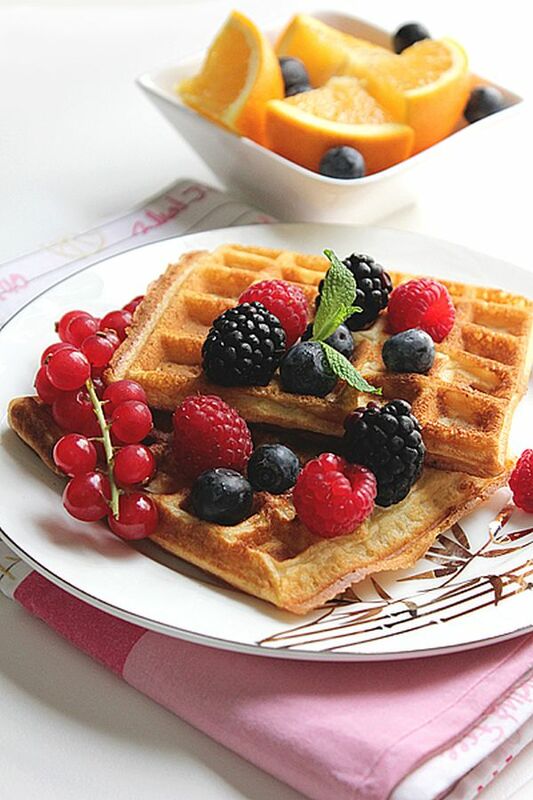 Who says waffles have to be unhealthy? 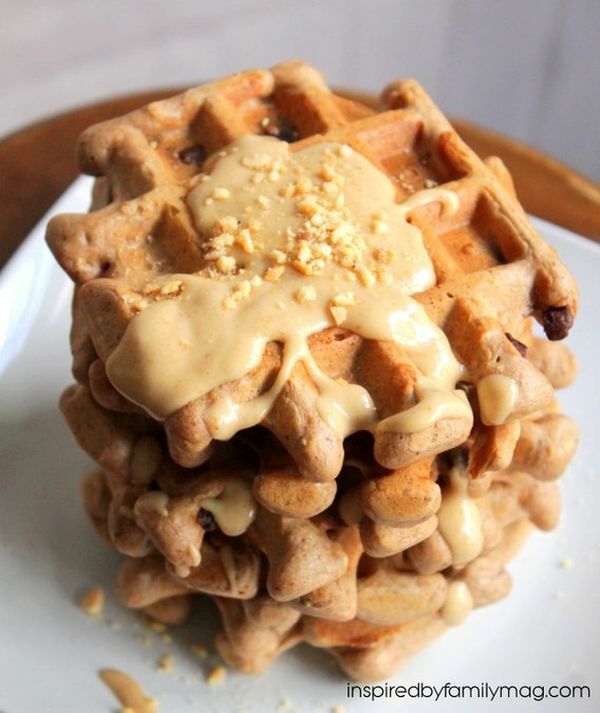 Here are 20 recipes that will change your waffle game for good. If you’re like, well, just about everyone, you know how great it is to start the morning off with waffles. You probably also question the healthfulness of doing it too often. Fear not. 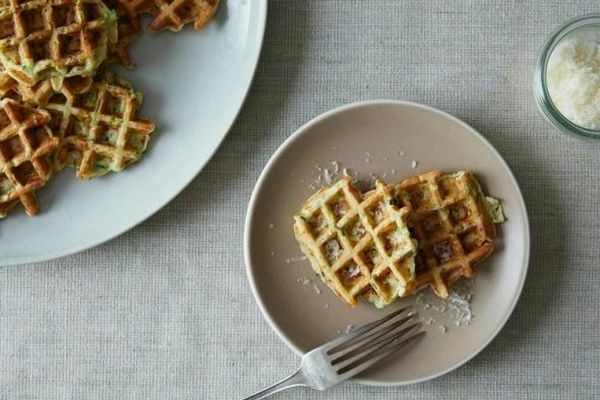 Waffles can be much more than butter-soaked, syrup-laden pucks of refined flour and these recipes will show you the light. By including nutritious toppings and ingredients like cottage cheese, fresh berries, banana slices, zucchini, and fried egg, you can elevate this “cheat food” to something you can enjoy guilt-free. Will it Waffle? 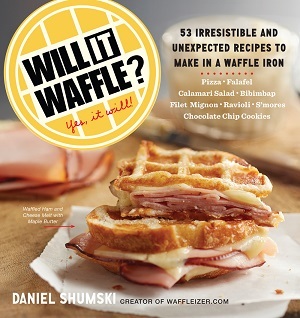 by Daniel Shumski is full of unexpected recipes that can be prepared in a waffle iron. Taste this one, for example, which makes a great appetizer or light, savory breakfast. This cookbook also goes to uncharted territories with this surprisingly versatile kitchen appliance, including pizza, onion rings, and even steak. 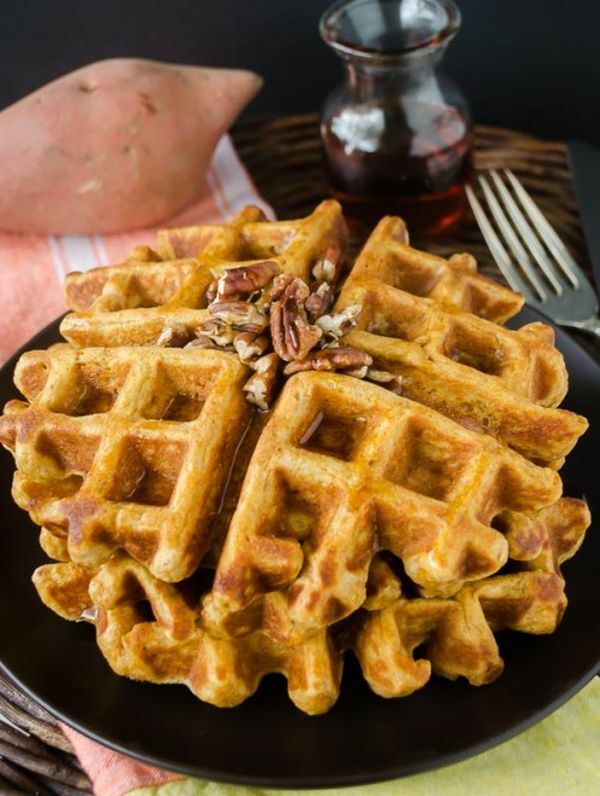 Whether it’s fall or not, early morning or the dead of night, these pumpkin waffles will call everyone to the kitchen. They’re made with oat flour and coconut oil to be crispy on the outside, but soft and pumpkiny on the inside. These keep well in freezer-safe plastic bags and can be defrosted in the toaster. Skip the boxed waffles in the frozen food aisle, and make these for your kids and all the kids-at-heart in your house instead. You can miss out on the artificial junk in name-brand waffles by making them from scratch. While you’re at it, upgrade most of the white flour to whole-wheat, and use real butter and buttermilk for better flavor. Next time you pass by a Cinnabon, keep on walking as you remember this alternative, which uses vanilla protein powder in the batter and the frosting. Breakfast will be protein-packed with a recipe like this. They’re Paleo waffles too with coconut flour. 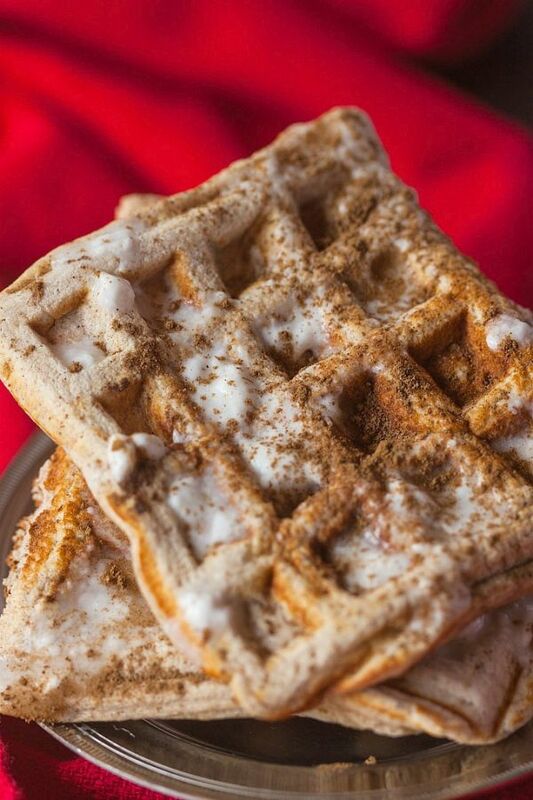 Complete with a drizzle of frosting and a dash of cinnamon. 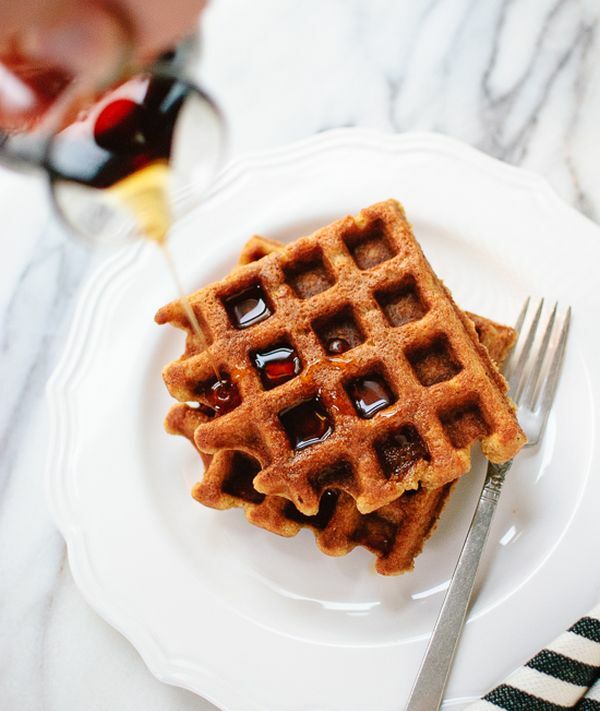 It might seem impossible to fit waffles into a lean and clean diet, but these are lightened up in a number of ways to make them naturally sweetened, nutty, and all-around delicious. The secret is a combination of oat flour and almond meal. And the recipe uses a low-fat baking trick, replacing butter with applesauce. When you have a jug of fresh-pressed apple cider in the fridge, it’s hard not to want to drink it all day. 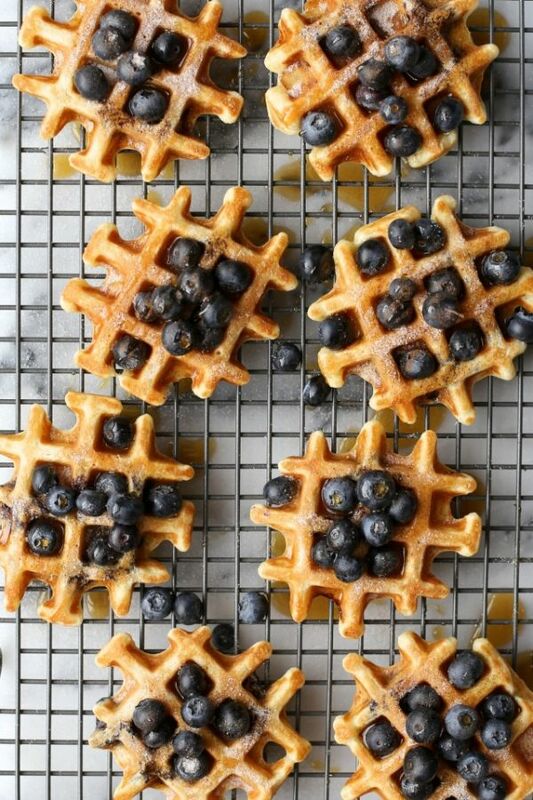 But save the hot cider and rum for later in the day, and prepare these unique waffles for breakfast while you wait. Or have a cold glass of cider in the morning, and remember to pick up another gallon next time you’re at the farmers’ market. 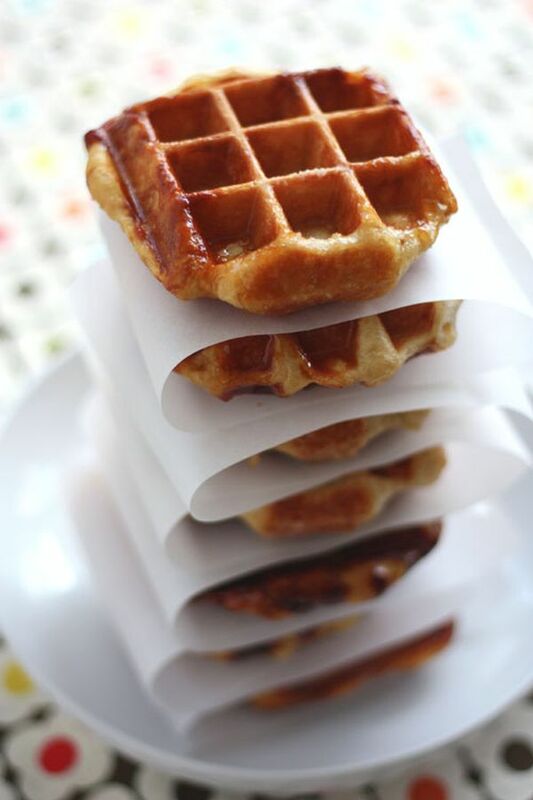 These waffles are decadent and will knock your socks off with rich, creamy filling. 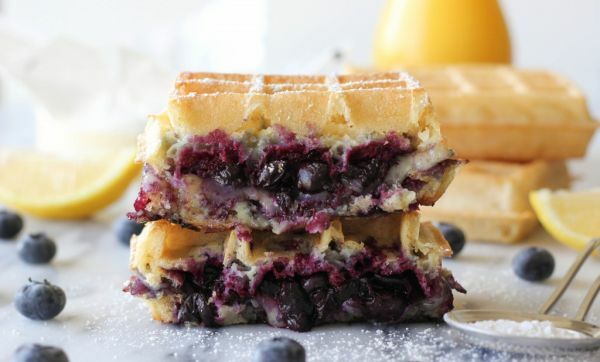 That’s right – it’s a sandwich made with golden waffles, melted brie, and juicy blueberries. Next time you’re planning brunch on the weekend, whether it’s for two or for twenty, this is a great way to impress guests while keeping it simple. Be sure to please by serving with a side of thick-cut bacon. There’s quinoa in everything these days, so what gives? Well in this recipe, quinoa flour is used to give added nutritional value. 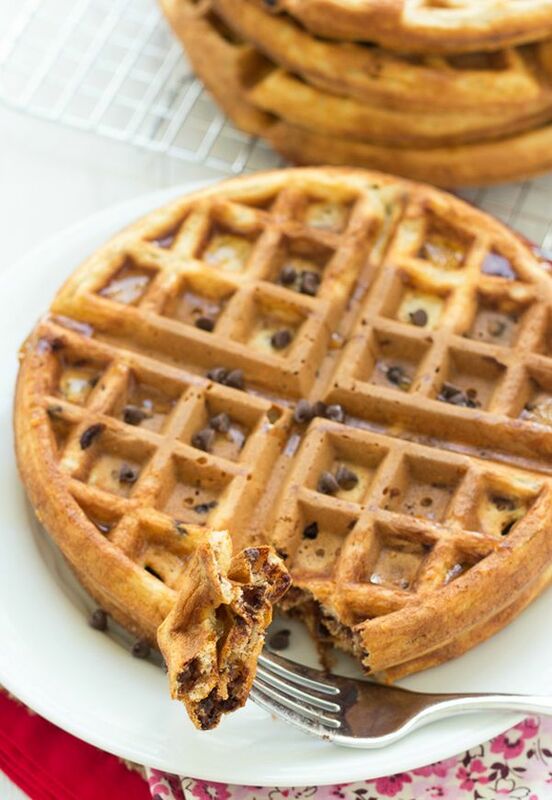 Combined with rice flour, the result is a gluten-free waffle with a slightly nutty banana flavor. 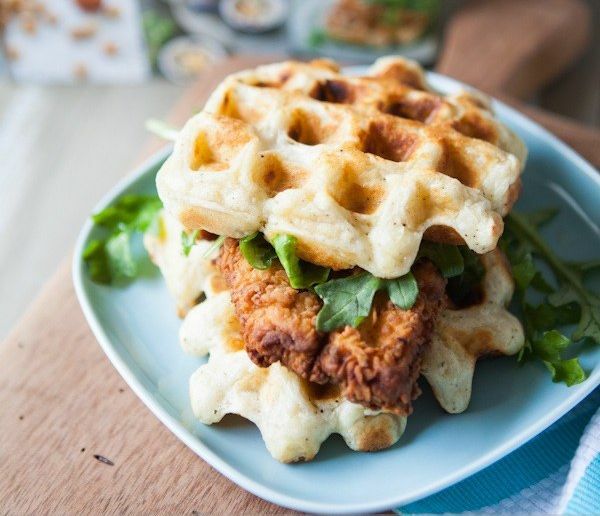 You can use any waffles to make this sandwich, or make the cheddar waffles to eat alone. 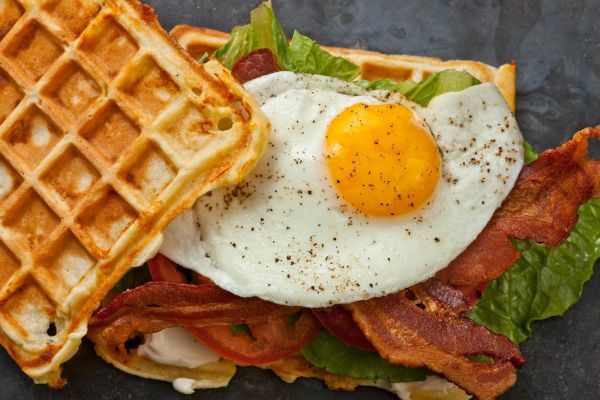 But really it’s best to combine all of the flavors of a traditional American breakfast + a classic BLT into one bite. Sure, this sandwich is a labor of love, but make it once, and you’ll be hooked on having this inventive mash-up for weekend brunch. 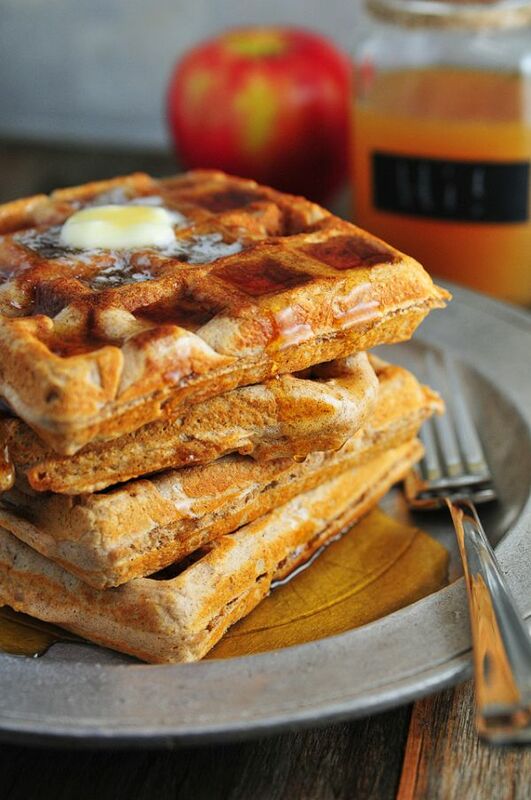 If you love sweet potato pie, you’ll definitely want to start your day with these Belgian-style waffles. Not only do they taste like dessert, but they’re made with whole wheat flour for more robust flavor as well as more vitamins. Whole grains also score lower than processed white flour on the glycemic index, meaning slower digestion and lower impact on blood sugar levels. If you haven’t tried the awesome combo of chicken and waffles yet, this version will no doubt sway you. It’s even in a sandwich for easy eating and ultimate yum factor. These aren’t just waffles but a biscuit-waffle hybrid made with cold butter so it stays in the batter as chunks. That will make a tender waffle unlike any other, perfect to pair with crispy chicken. Or for a lighter version, bake the chicken breast instead (as indicated in nutrition facts). 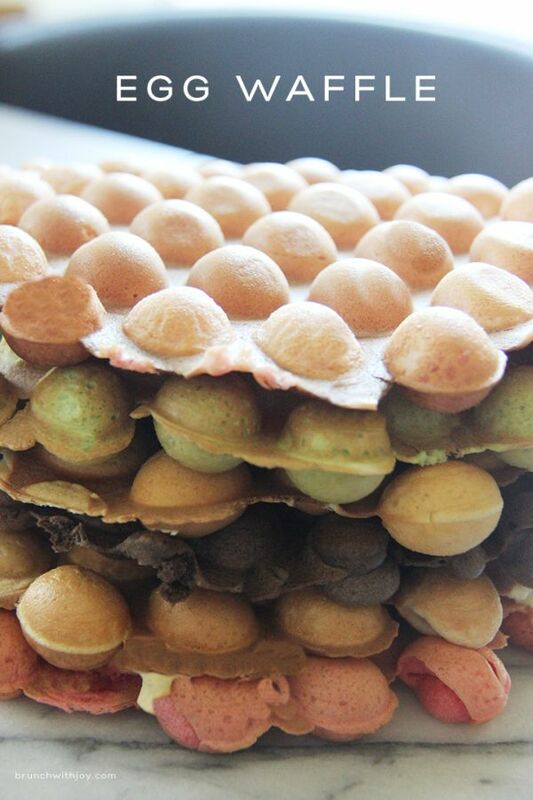 To make an over-the-top breakfast, make waffles in the style of Liège, Belgium. What these lack in overall healthfulness, they make up for in authentic flavor. What you’ll need to get a hold of first, though, is a secret ingredient: Belgian pearl sugar. Next, you’ll need patience because the yeast dough has to rise for several hour, ideally overnight, before folding in that pearl sugar and firing up the waffle iron. 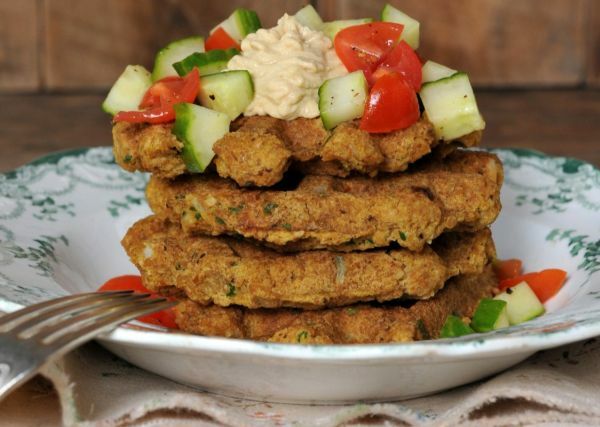 Want to enjoy falafels without the fuss of frying? Stick them in your waffle maker for a vegan dish that’s crispy on the outside and delicious with a dollop of fresh hummus. Then add other toppings to your liking, such as cucumber, diced tomato, pickled peppers, and a squeeze of lemon juice. 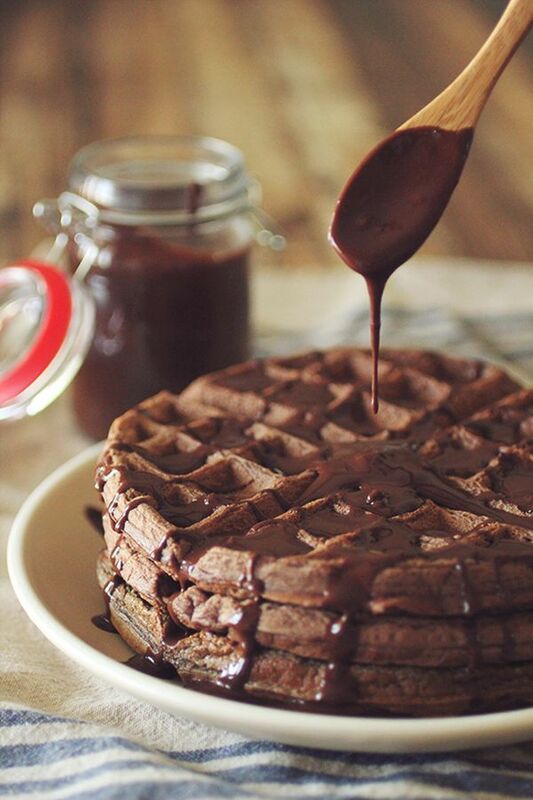 There are healthy ways to have dessert for breakfast, including these chocolatey waffles. The recipe is low in fat and added sugar because of the inclusion of bananas. You may be tempted to add chocolate syrup to these chocolate waffles, but that might be overkill. They’ll actually taste better with something creamy, such as Greek yogurt or cottage cheese, to contrast the chocolate. For a rare taste of Southeast Asia, seek out pandan extract, which has a sweet, bright, herbaceous flavor. It’s hardly ever heard of in the U.S., but pandan is used like vanilla in Vietnam. Frequently used in desserts, pandan also makes a great addition for waffles. These also a get an infusion of Asian flavor from using coconut milk. 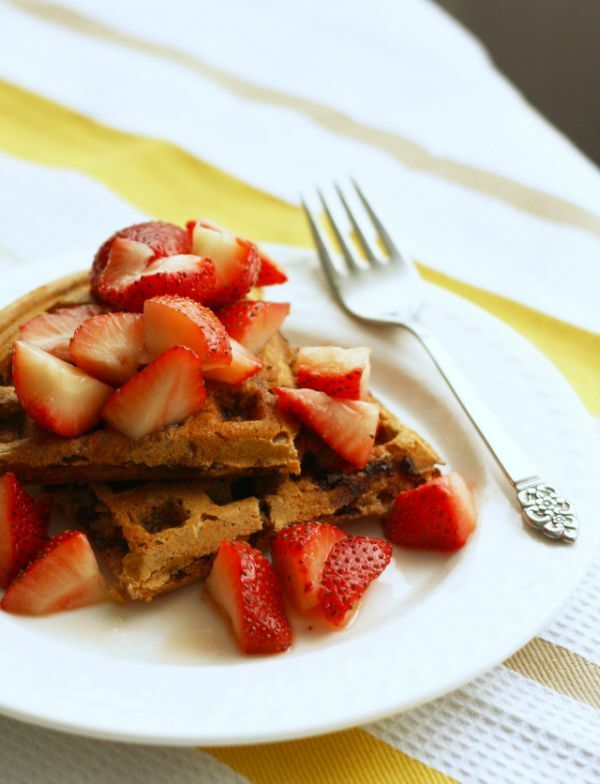 Looking for low-calorie waffles? These will satisfy you for breakfast with plenty of flavor thanks to fresh-squeezed orange juice. Serve them with more fresh fruit whether you have a handful of mixed berries, diced pineapple, or some cut grapefruit with coconut whipped cream. These require a special kind of pan to make the texture of bubbles, and the final result will bring a popular snack from Hong Kong to your kitchen. As a street food, egg waffles can definitely be empty calories, so watch when you choose to eat them. The batter is a lot like the kind used to make Belgian waffles, which is to say it’s a lot of carbs and not much else. Start your day on the right note by making breakfast a little more fun. These waffle sticks are finger food that you can dip into a healthy peanut butter sauce. With other maple syrup alternatives, it can feel like something is missing. But this sauce, whether you dip or drizzle, is just the right consistency to replace it. 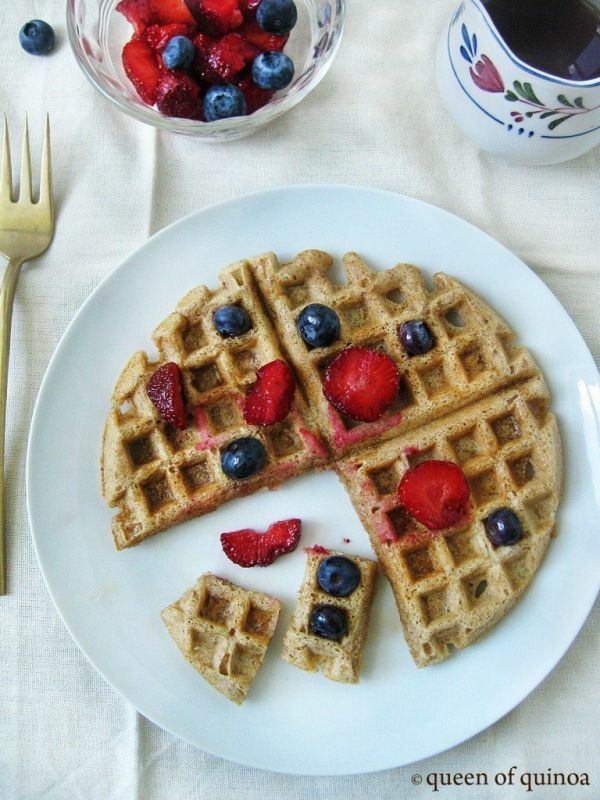 One easy trick to make waffles more nutritious is to swap out white flour for an alternative, such as spelt. Compared to wheat flour, spelt has more fiber, protein, and minerals like niacin. 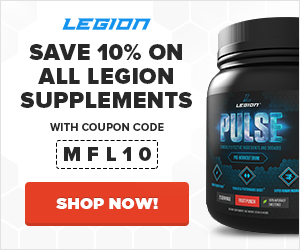 It’s also easier to use as a substitute than quinoa or rice flour because it contains gluten. 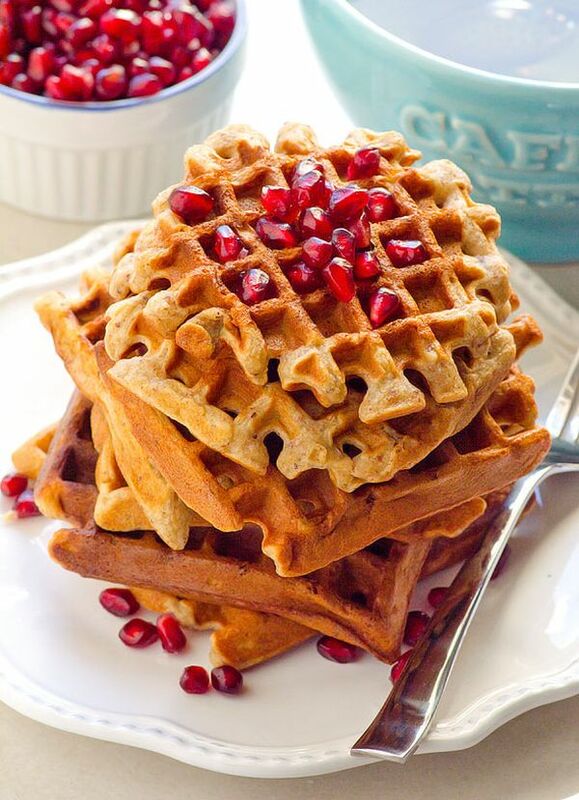 These waffles aren’t gluten-free, but they are vegan. Sometimes you can’t beat a classic. 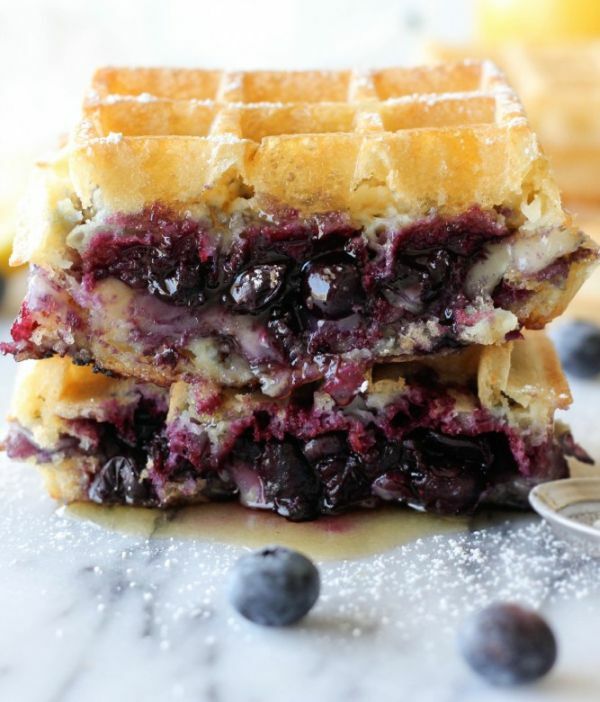 When all you need is a simple brunch, this is blueberry waffle recipe is perfect. Serve with other go-to breakfast items like sausage patties, fruit salad, and eggs over easy. 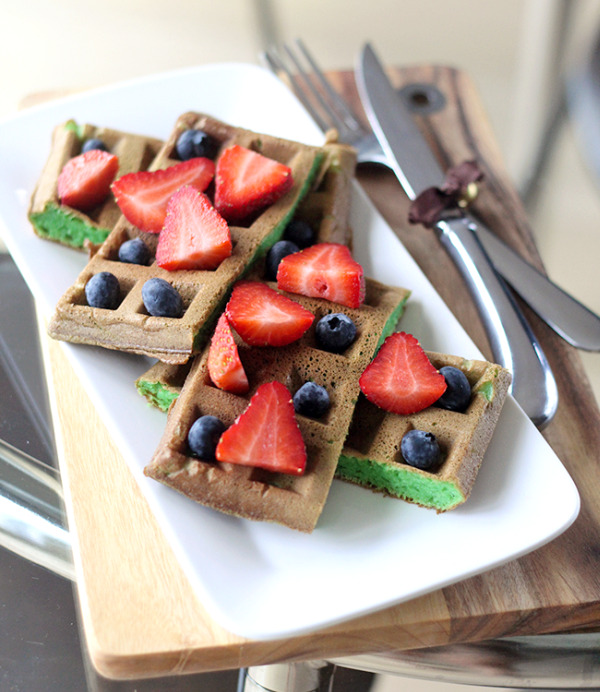 What did you think of these healthy waffle recipes? Have anything else to share? Let me know in the comments below!